Are you trying to cut down on your caffeine, alcohol or artificial sugary drinks intake? Are you looking for a healthier alternative to replace those liquids besides water? Herbal teas could be your answer. Documentation of drinking herbal teas for its health benefits and healing powers can be traced back to the ancient Egyptians, ancient Chinese, the Greeks and the Romans. The popularity of the drink has seen a recent increasing trend in the West as people are becoming more health conscious. So, what is a herbal tea and what makes this drink so notorious? 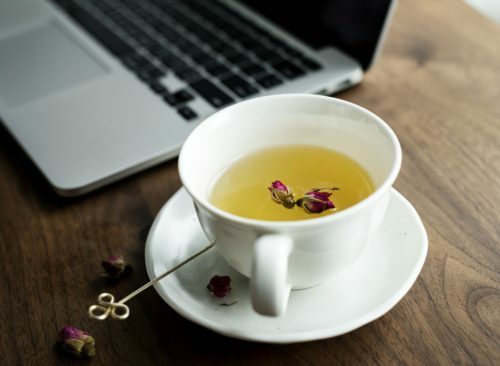 OK, so let’s get one thing clear….herbal tea is NOT actually a tea as they don’t come from the camellia sinensis (the actual plant that ALL real or ‘true teas’ are made from). 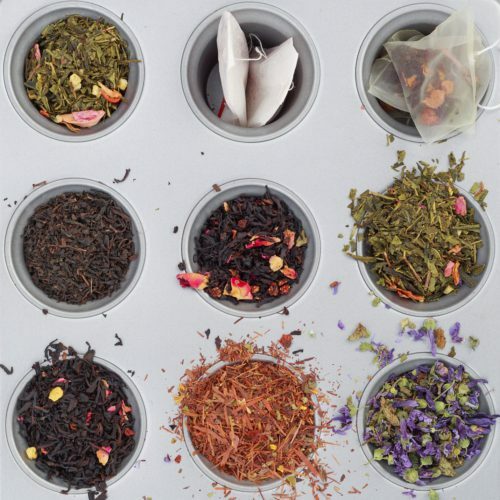 Black tea, Green tea, White tea, Yellow tea and Oolong tea are the most common of ‘true teas’. Discover "The History Of True Teas"
Herbal teas are also known as ‘tisane‘ (pronounced tea- zahn) which is more widely used in Europe. Other aliases include infusion, herbal infusion or botanical. I like to call them ‘medicine in a cup’ because they’re drug-less, natural and healing to the mind, body and soul. Tisane is a French term meaning a blending or infusion of dried leaves; roots; flowers; fruits; nuts; bark roots; stems or seeds used to make a refreshing drink or mainly for medicinal purposes. They are made by ‘infusing‘ or ‘decocting‘ the parts of these plants in order to extract the healing and potent chemicals found in them. These beneficial chemicals can either nourish, detoxify, strengthen, revitalise, stimulate, relax or act as a sedative – and in a world where everything is moving so fast, we need just the thing to unwind! In Chinese, it’s known as ‘leurng cha‘ meaning ‘cooling tea’ when translated, and considered to cool internal heat, especially after eating oily or spicy food or to relieve early symptoms of illness. Herbal Fact The World Health Organisation (WHO) estimates around 80% of the population of some Asian and African countries currently rely on traditional plant remedies for some aspect of primary health care. The easiest, quickest and most popular method. It involves the 'softer' parts of the plant such as the leaves, flowers and stems. Dunking a teabag or tea strainer of herbs in a cup of hot water for a few minutes is classed as an infusion. The lesser known and more time consuming method. It involves the 'harder' parts of the plant such as the bark, twigs, seeds, nuts and roots which need a longer heat source for boiling and simmering over a longer period of time. 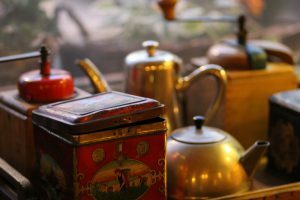 Read "10 Tips On How To Make Herbal Tea"
What Can Herbal Teas Help With? 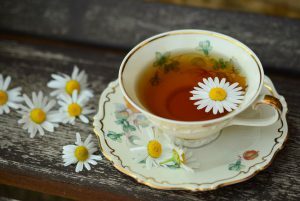 Certain herbal teas have sedative and relaxing properties that can calm the nervous system, soothe frayed nerves and reduce stress throughout the body. Popular herbs in this category include -Chamomile, Lavender, Valerian, Passionflower, Black Seed, Lemon Balm & Catnip. There are herbal teas that can enhance and boost your body's natural defences or help rebuild your strength after illness, surgery or taking antibiotics. Herbs such as Echinacea, Astragalus, Garlic, Ginger, Nettle & Black Seed are often used here. 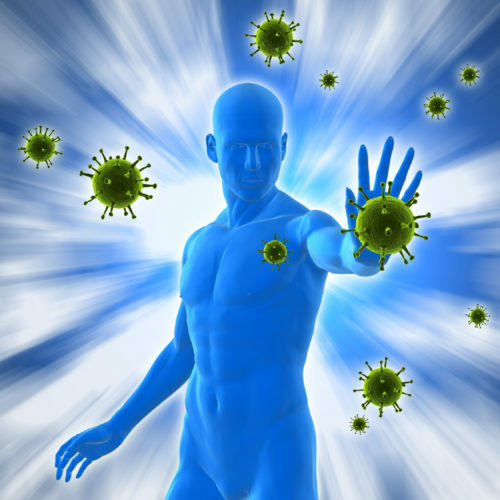 Read "How To Boost Kids Immune System Naturally With Herbs"
Poor memory can be a result of stress, illness, poor diet, hormone imbalance or old age. Herbs such as Ginkgo, Gotu Kola Rosemary, Blueberries, Siberian Ginseng & Ashwaganda are used to address this issue. 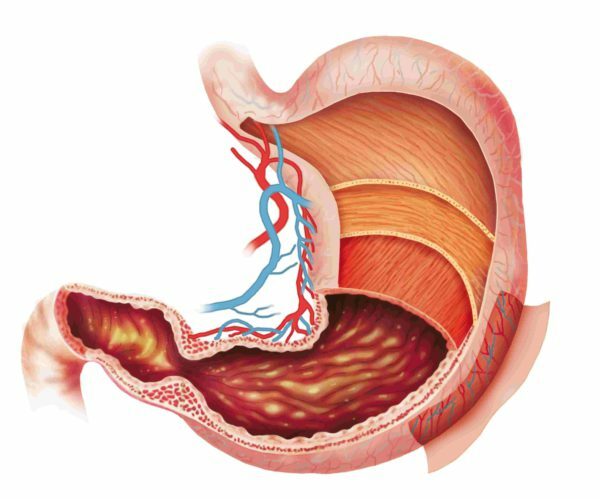 Stress, poor diet, illness, inflammation and negative emotional factors have a big impact on the digestive system. Herbal teas can aid appetite and digestion by stimulating our absorption and assimilation of nutrients. Ginger, Fennel, Peppermint, Chamomile, Aniseed & Meadowsweet are particularly useful. Certain herbal teas can provide extra nutrients such as calcium, iron and potassium which are essential for mother and growing baby. Whilst some teas can help with pregnancy-related symptoms. Some of the favourites include Ginger, Chamomile, Nettle & Red Raspberry Leaf. Read "Is Herbal Tea Good For You When Pregnant?" Herbal teas are a cheaper and healthier alternative to fight the battle of the bulge. Certain herbs have been under scientific-peered scrutiny and have been proven to help with weight loss. Black Seed Oil, Guarana, Ginseng, Ginger & Green Tea are popular but shouldn't be relied on solely to achieve this. Read "Do Herbs That Help Weight Loss Really Work?" These are just a few examples of what herbal teas can help with. Other benefits include arthritis; headaches; anti-inflammatory; menopause; energy boosters; skin; headaches and the heart to name a few. Herbal tea infusions are best taken hot which is best for medicinal teas but they can also be taken warm, cold or iced especially if making a refreshing drink for summer months. Dried Herbs - 1-2 x teaspoons per cup. Fresh Herbs - Double the quantity of dried herbs. Teabags contain 1 x teaspoon of dried herbs. 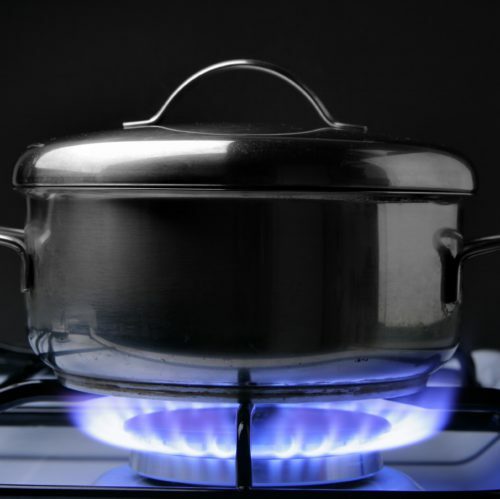 Add boiled water, cover & steep between 10-15 minutes. 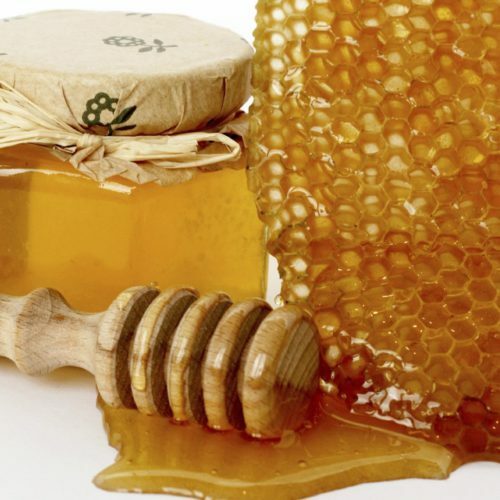 Honey is best as it's a natural sweetener. It has antibacterial, antioxidant & anti-fungal properties. Avoid artificial and refined sugars as they can destroy the healing potential & properties of the herbal tea. 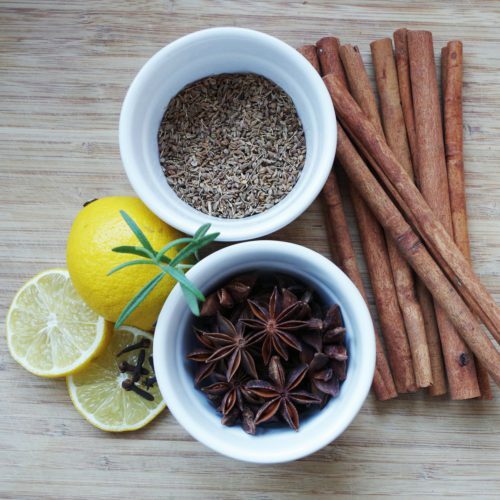 To make your herbal tea tastier mint, lemon, lime, orange, rose hips, elderberry, hibiscus, cinnamon, liquorice or anise can be added. Each flavour also brings virtues and health benefits of their own. The positive power of plant energy through drinking herbal teas can provide incredible healing properties and potent herbal defences against disease and illness. The positive trend of drinking herbal teas still continues today and there is even more choice in terms of flavours. So, don’t be put off if you didn’t like one that you tried as there’s hundreds to choose from! Being generally caffeine-free, they can be seen as a more healthier alternative to other drinks that are fizzy, high in calories or full of caffeine. You get the highs without the lows! Plus, they count towards your daily water intake. Our ancestors have been using herbs for many centuries and along with modern science and research, herbal teas can help with most health conditions and ailments we see today. Do you drink herbal teas? Do you drink them for medicinal purposes or as a refreshing drink? Has it helped you? Do you use dried herbs, fresh herbs or maybe teabags? I’d love to know your thoughts, comments and experiences of herbal teas. Thanks for reading and peace be with you. Wondering what is a herbal tea? They can either nourish, detoxify, strengthen, revitalise, stimulate or relax & help with most health conditions we see today. Thank you for sharing your post about herbal tea. I always thought teas like black tea, and green tea was an herbal tea. It’s a good thing I found your article. I like learning about all of the health benefits and different ways you can cook with herbal teas. Helping in stress, arthritis, memory and a lot of areas. I’m going to have to read some of the recipes, you provide enough info to keep me busy for a couple of days. Thank you. You’re most welcome and happy you found the post helpful. Let me know if you have any further questions about using or making them. I’ll be more than happy to help. I’m not a true tea lover but I do love to drink when someone prepares it for me like when I go to restaurants or at home. My mum has there shelf dedicated to all the tea herbs and twigs in the world but I only know how to make tea from leaves. How long does it take usually if we’re making tea from twigs? Usually with the harder parts of the plant like twigs,bark and roots, I would decoct them over a low heat for 1 hour sometimes more and I guess this is because of my Chinese heritage! You can do a decoction of 15 minutes if limited to time. Hope this answers your question. It’s Mother’s Day in the UK on Sunday, maybe you can surprise her by making a herbal tea for her! Thanks for the nice and detailed post. You asked for your readers thoughts. 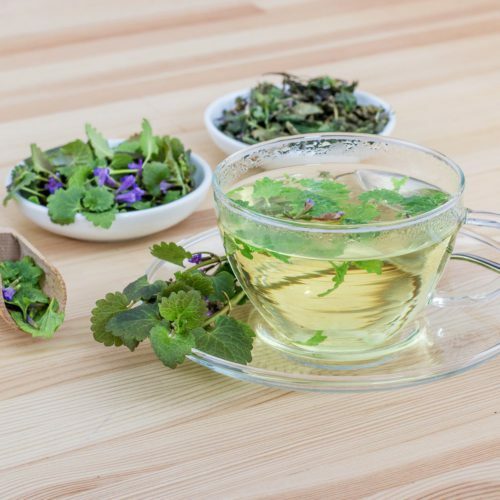 To answer your questions: Do you drink herbal teas? Not really. Sometimes in a burst of inspiration, I grind some peeled ginger and add infuse with warm water but this is not usual for me. Do you drink them for medicinal purposes or as a refreshing drink? I feel ginger is good for the gut but I have never considered it refreshing. Maybe I am not preparing it properly. Has it helped you? I do not know if it helps because I do not take it consistently. Reading your post has rekindled my interest in Herbal Teas so I might just start trying out new ones. I appreciate your honesty! I generally drink my herbal teas for medicinal purposes. In the mornings, I like to drink ginseng and ginkgo to help boost my brain and energy levels for the day ahead. In the evenings, it’s usually a blend that can help me sleep with herbs such as chamomile, lemon balm, catnip and lavender. During the day, the teas varies dependant on my mood or how I’m feeling. I love drinking ginger tea especially during the winter months as it helps boost my circulation and keep me warm through those cold nights! Although I drink herbal teas for medicinal purposes, I don’t rely on them solely to help me with my ailments. A healthy diet, regular exercise, trying to avoid too much stress and limiting electronics due to their high radiation levels can help prevent many illness we see today. 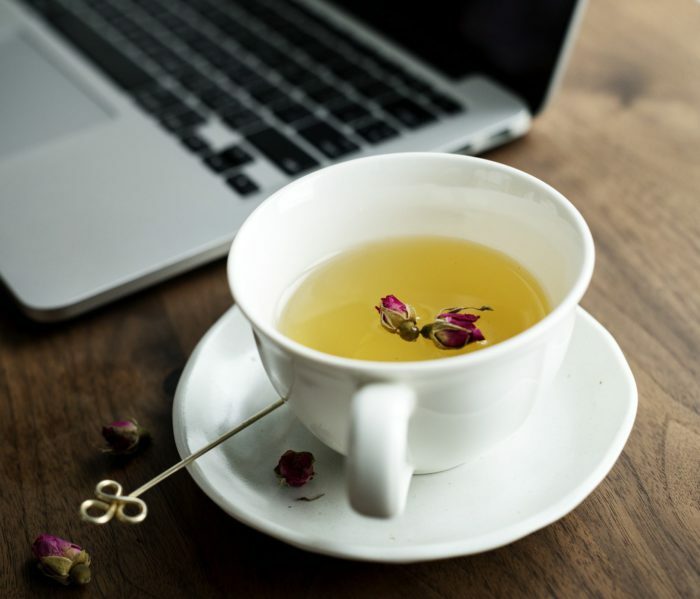 I’ve really enjoyed reading this article as you’ve provided us with tonnes of valuable information on “What is a Herbal Tea”. A question struck my mind when I went over the digestion part. Does herbal tea by any chance cure food poison? Thanks in advance for answering my question. Keep up the good work Teresa! Glad you enjoyed the read. I wouldn’t say that herbal teas can cure – more that they can help or benefit you as they have an holistic approach in dealing with illness. This means that the herbs treat the whole person rather than just relieving symptoms (which is what conventional medicine does). In answer to your question, there a number of herbs you could try such as chamomile, ginger, peppermint, fennel and thyme which are mildly antiseptic and can help with relieve stomach cramps. Hope that answers your question and have a great weekend. Indeed health is wealth, i really did not know much about herbal teas till I saw this article, i take a lot of sugar and alcohol but am not an addict but reading this article i think i have seen a remedy for my excesses. I really got a great insight and knowledge from your article on how to use herbal teas. I think herbal teas has the right answer for a healthier alternative way to replace the excess intake of sugar, caffeine and alcohol. Thanks for reading and glad you found the post helpful. I wish you well in your quest for herbal healing. I love coffee as much as I love my tea. Some people hate it but tea is refreshing and it cleanses the palate. Thank you for sharing a lot of information. I didn’t know that there is such a thing as decoction and that herbal teas are not actually real teas. Though I love teas, I am not really an expert. I usually just down the common ones – chamomile, jasmine, green tea, oolong, earl grey. Can you recommend something else that I can try that’s great for vitality? I am a mom who is not getting enough rest so i’m always tired. I am also still breastfeeding my 2 year old. Hope you can recommend something that will boost my energy. Thanks! Being a mother is tough work and I feel for you! I breastfed my son until he was 2 and he’s now 5 and I still feel tired most days! Ginseng is a great for restoring energy and vitality as they are a natural stimulant and can help to improve adrenal function which influence the body’s response to stress. Sometimes tiredness or fatigue could be a sign of anaemia which I suffered from during pregnancy and a few years after that. Nettle is a herb that is recommended as it’s rich in iron which makes it an excellent blood builder and the high content of Vitamin C in the plant helps to ensure the iron is properly absorbed. 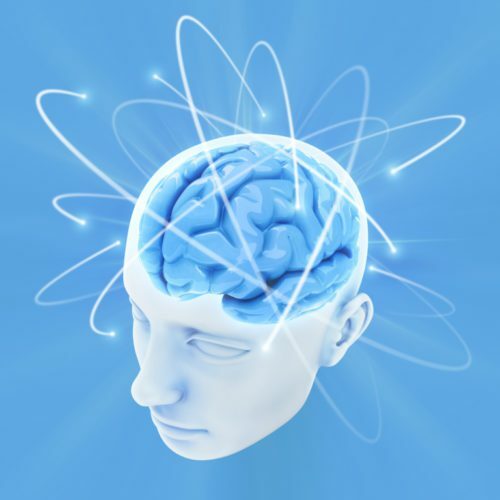 Yerba mate is another stimulant that can help with physical and mental energy as it can provide nutrients to the brain that can help with memory and concentration. It’s best to limit yourself 1-2 cups per day of the teas as you are still breastfeeding. I’ve written an article on 8 Tried & Tested Natural Sleep Remedies That Work here which I hope you will find useful. You’re most welcome and happy you found the post helpful. Let me know if you have any further questions about using them. Great topic. The antioxidants and vitamins found in herbal teas are great to help fight infections and diseases. Along with your information, they can protect against oxidative stress and reduce chronic disease risk. Some of the best herbal teas to boost your immune system are elderberry, echinacea, ginger and root tea with liquorice. Great work putting this up, very educative and informative. Sounds like you know your herbs! For immunity I would use generally use the ones you’ve mentioned but not normally liquorice as I tend to use that in my cough blends as it’s a great expectorant. 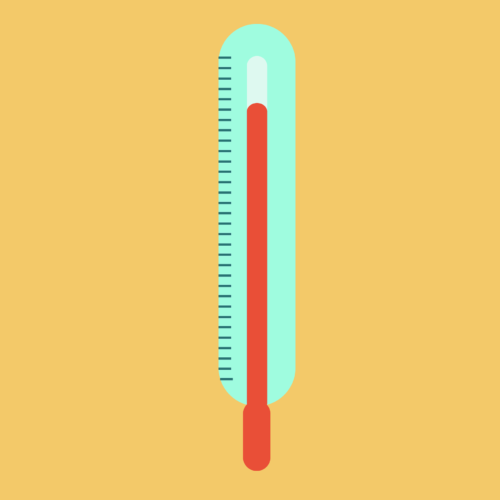 Has liquorice helped with your immunity? I’d love to know and thanks for sharing your thoughts. I’m a lover of herbal tea. My favourite is chamomile tea, and since I’ve been taking it, I have been seeing it’s result. I always take mine hot, because I think it will become ineffective after the dispersion of steam. Seeing the advantages of herbal tea, I will like to start taking more herbal tea, especially because I’m adding more weight than I expect to. Glad to hear you’re seeing results. I’m a huge fan of chamomile too and use that daily in my sleep blend or when I’m feeling a little stressed. 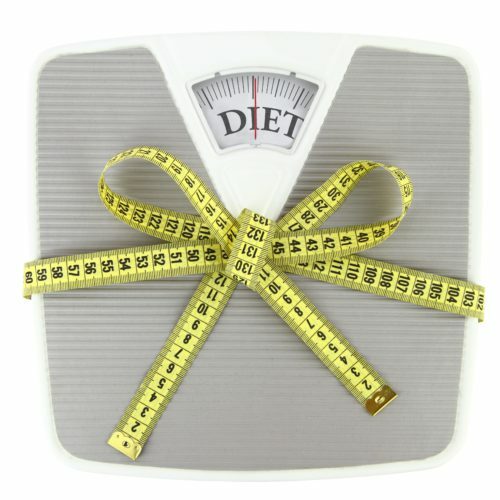 Are you looking to gain weight or lose weight? If you’re looking to lose weight, then I’ve written an article “Do Herbs That Help With Weight Loss Really Work” which you can read here. I grew up to see my parents taking more herbal tea than alcohol or any other drink. I couldn’t really comprehend the importance of it even after she took time to explain to me the advantages of taking herbal tea. When I grew to become an adult, I realised that I could prevent most diseases and sickness if I stick to herbal tea and that’s what I did. Right now, herbal tea is an essential part of my meal. It’s funny how as kids we always choose not to listen to our parents when they knew what was good for us. I’ve know I’ve been there and done that for sure! Using herbs has always been a part of my life as my mother used to (and still does) use herbs to make herbal teas and what we call in our culture ‘beneficial soups’. I’m just glad I listened to her in that respect! Thanks for visiting and peace be with you. thank you so much for writing such an informative and helpful post. 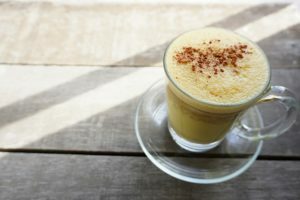 I really did not know much about herbal teas and after reading this post, I need to try some of the recipes in your website. You encouraged me to learn more about herbal teas and I definitely will check your other posts and learn more about herbal teas and their history. Maybe I will try to modify my morning routine and drink herbal tea instead of coffee. I hope it will help me with my studying and sleeping habits. I’ll let you know if there has been some changes after I start drinking herbal tea on a daily basis. Now I have to tell my family and friends about the benefits of herbal tea. Do you recommend drinking more than once in a day? Keep up with the good work and I am looking forward to reading your upcoming posts! I’m happy to have inspired you and beaming ear to ear with your positive vibes and comments! As a beginner if you’re drinking for medicinal purposes, I would recommend working your way up and start slow. You could start on 1 cup a day for a few days and increase to 2 cups for a week and so on. It’s also best to start simple – herbal teas made from one herb is called a ‘simple’ which is the best for you to recognise its healing action and how your body responds to it. I’ve written a post on 10 tips on how to make herbal teas which is great if you’re a newbie. If you have trouble sleeping, please read my 8 Tried &Tested; Natural Sleep Remedies That Work< /a>, which has helped me a lot with my sleep issues. Have a lovely week and please do let me know of your experiences of drinking herbal teas. Hello TERESA, This is an incredible and helpful article on herbal tea. I am part of the greater population that really love herbal tea and I really got great insights and knowledge from your article on the right way to make it. To cut down caffeine, alcohol or artificial sugary drinks intake and looking for a healthier alternative to replace those liquids besides water, these are those things that prompt me to accept Herbal teas as the right answer and solution. Health is Wealth. I can categorically say that all these numerous benefits of the herbal tea answer the question “Why we need to drink herbal tea?”. It’s really helpful to learn all of the many health benefits that various combinations of herbs can provide, as well as their origins. Teas are not only delicious but effective to our bodies in so many ways that improve our health. Thanks for sharing this helpful information. I like that phrase “health is wealth” – so true! You’re the second person to say “why we need to drink herbal tea”, perhaps I should write that as my next article. Glad you found the post helpful and let me know of your experiences of drinking them. Herbal teas are truely medicines in a cup. People like me that are tablet phobic, if there’s any such word, should take advantage of all the pros that come with herbal teas, since it’s a liquid medicine. I don’t take alcohol, neither do take any form of caffeine (that I am aware of), but I have a sweet tooth, I almost can’t do without sugar. lately, I’ve began to think seriously about reducing my artificial sugar intake, and I think herbal tea is the best replacement. You’re onto a winner there for your sugar replacement in drinks. I personally don’t like fizzy drinks or drink alcohol but I do like my coffee! I adore the aroma and the taste equally and will still have 1 cup a day along with my other 4-5 cups of herbal teas! The other beauty of herbal teas is that they can be used as washes, eye baths and even gargles. A versatile medicine in a cup! What a wonderful article on herbal tea. I have heard about herbal tea from a friend that is works magic but yet to make my findings on how true and effective it is. But reading through the lines of your article I can see that herbal tea is really medicinal to body health and dies lot of wonders in maintaining good health as well. This article has opened my eyes to the need to be taking herbal tea. Thanks for sharing this article. Kudos to you. Thanks for your positive vibes and thoughts. I’m glad the post has inspired to take up drinking herbal teas even if you just start on one cup per day. Your body will appreciate it. I’ve written a post on 10 tips on how to make herbal teas which is great if you’re a newbie. Let me know if you have any further questions and I’d be happy to help. Happy brewing and peace be with you. Thanks for feeding me more information on herbal tea, I also know that Its antioxidants may help prevent complications from diabetes, like loss of vision and nerve and kidney damage, and stunt the growth of cancer cells. But I would love to know which is better amongst coffee or herbal tea in order to make a better tea choice. Don’t get me wrong but I adore drinking coffee too as it has it’s own benefits. But because they have caffeine and can be acidic on the body, then it’s best to limit the intake. Moderation is key. Herbal teas can count towards you water intake so you can drink more of this a day than coffee. Varying the types of herbs used is beneficial too. 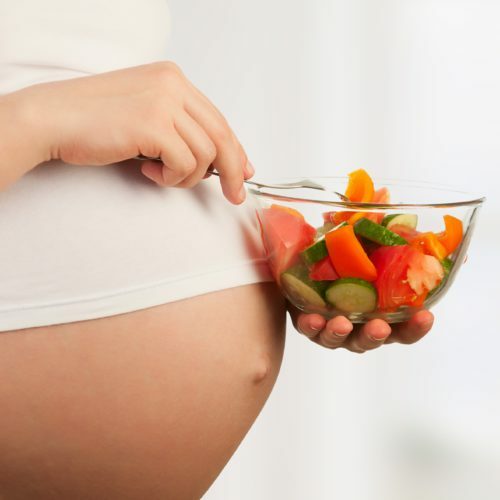 However, certain herbs can have negative effects such as if you are pregnant or taking certain medications so it’s best to consult your health practitioner or qualified herbalist. You’re very welcome! I absolutely adore drinking herbal teas and have at least 4-5 cups a day. Morning and evening ones are generally the same herbal teas and during the day they vary depending on how I feel. I guess it was time to write about what they were and the beauties and benefits of them and glad you enjoyed reading it. It’s lovely to hear that you’re an advocate of them and happy to know they have helped you. The good thing about herbal tea is that its has various natural ingredients that are beneficial to the body. I start using tea when I was cautioned on my sugar intake. Ever since, its being either herbal tea or no tea. I testify to the claims in this post and the efficiency of the herbal tea. Thanks for your positive vibes and comments. Lovely to hear you’re using herbal teas and that it has helped you. Have a blessed week and peace be with you. You’re most welcome and glad you found the post useful. Herbal teas have many health benefits when made and used correctly. As I mentioned to a previous reader – Newbies should start simple. Herbal teas made from one herb is called a ‘simple’ which is the best way for you to recognise its healing action and how your body responds to it. I’ve written a easy to follow post on 10 tips on how to make herbal tea which you can read here. I’d love to know how you got on and if you have any questions, I’d be more than happy to help. This was a most interesting read. I really learned a lot about herbal tea that I didn’t even know, like the difference between an infusion and decoction. I have found a cup of chamomile tea a big help before going to bed to relax me and help me to sleep. I am trying to drink a cup of green tea a day too for health benefits, but I can’t seem to acquire a taste for it. I must maybe try some of these others that you mention instead, as they all have their own health benefits. I love chamomile and it’s definitely top of my list of favourite herbs! So versatile – Not only is it great as a soothing and gentle sedative part of my sleep blend tea but it is one of the safest herbs used to soothe restless children or teething babies. It can also be used as a mouthwash for mouth inflammations, a gargle for sore throats and an eye bath for sore eyes. I love green tea too and drink it on a daily basis especially after a meal. I generally use 1 x teaspoon loose leaves per cup. It’s recommended when making green tea to use hot not boiled water at around 70-81°C and to steep for around 3-5 minutes. Perhaps you are steeping the green tea too long as it does start to taste bitter if steeped for too long. Give it a try and let me know. I’m happy you have learnt something from my post and wish you well in your quest to herbal tea drinking. Thanks a lot for the helpful & informative post and I got great insights from your post. Indeed, I am from south Asia and Herbal tea are very famous in the part where I live (South India – Black and Green tea are very famous here). Origin of herbal tea is insightful and “Medicine in the cup” is an awesome name. The numerous benefits of the herbal tea answer the question “Why we need to drink herbal tea?”. Our ancestors quoted “Food is our medicine and medicine is our food”. Honey is the best natural sweetener and I am avoiding sugar as much as I can. Thanks for the Great inspiring post on herbal tea! This has to be motivating, not only for me but also for many others. Although I knew some information about herbal tea I am not drinking it but your article certainly made me to think more on the subject. And gonna drink herbal tea! Happy to connect with you again my friend and pleased to hear you’re trying to avoid sugar which is hard to do as it’s in so much of our foods and drinks! I’m glad the post has inspired to take up drinking herbal teas even if it’s just one cup per day. Your body will appreciate it. I’ve written a post on 10 tips on how to make herbal teas which is great if you’re a newbie. I had to return to this site to read more of your information, as I find your articles very informative, not to mention pleasant reading. I love tea, so much that I have an entire cupboard in my kitchen dedicated to different teas. It’s fascinating to learn all of the many health benefits that various combinations of herbs can provide, as well as their origins. Teas are not only delicious but effective to our bodies in so many ways. I sometimes use teas as a caffeine alternative, but mostly I prefer the herbal teas that calm and aid in better sleep. I have several flavored chamomiles, and they have been my favorites for years! So happy to connect with you my friend and really glad to hear you love your teas! I too have an entire cupboard full of different teas and herbs and I love to rummage through them and make a blend for myself or for a family member. So definitely like your style! Chamomile is one of favourite herbs. I always use it as part of my sleep blend and it’s great for soothing restless children. My son loves drinking it as I have used it on him since he started teething when he was 1 years old. It’s also fantastic to use as an eye wash when the eye is inflamed. Personally, I truly believe that herbal teas are a great alternative to all the high caffeine or crappy fake sugary drinks that is literally turning us into obese tooth-decaying zombies! People are drinking these so called sugar-free drinks in an attempt to believe that it is better and healthier for them. So far from it! Besides water, herbal teas are my next favourite drinks and I hope you do make the transition to drinking herbal teas on a regular basis for healthier living and healthier you. Your body would thank you in the long run. Thanks for your positive vibes and peace be with you. Wow, so many benefits, the one which stands out for me is the stress, digestion, and waste lost. This is going to be so useful for me, thanks for also providing us with different ways of drinking herbal tea. I have never tried drinking herbal tea before, thanks for introducing me to some motvating benefits of it. I’m so thrilled to have introduced to you the beauties and bounties of herbal teas! They really are medicine in a cup when made correctly. I hope you will return and let me know how you’ve got in trying them out. Happy blending and peace be with you. To me Herbal medicines and Herbal teas are the best, because some of these plant are been used in it raw state and which means it has a full nutrients in it. Unlike the other products being manufactured, packaged and stored in such a way that sometimes these products lose almost eighty percent of its nutrients. That is many age people prefer Herbal or native medicines to the manufactured ones. You’re right there. A lot of manufactured products are processed or treated in some way so a lot of the nutrients are lost in some way. As mentioned, around 80% of the population in some parts of Asia and Africa rely on traditional plant remedies for some aspect of their primary health care which is an integral part of the culture in those communities. They seek herbal therapy in the belief that it can promote healthy living thus herbal medicines are seen as a more balanced and moderate approach to healing. This is an excellent breakdown of the herbal tea. Even though I did not know any of this prior, I still see the effects because it was beautifully written. It’s concise and comforting style of writing has left me now seeking to do some healing of the mind and body with this herbal formula. Definitely keep writing articles like this as your explanation gives me full understanding in just a short article. Thank you very much! You’re so welcome! It takes me a little longer to write my articles as information and presentation is key and I’m so glad it delivered! For any newbie, it’s always best to start SIMPLE! Herbal teas made from one herb is called a ‘simple’ which is the best way for you to recognise its healing action and how your body responds to it. I hope you do start a quest of herbal healing and would love to know of your experiences. Feel free to drop in and ask a question any time. Take care and have a blessed week. I really found your article on herbal teas to be quite soothing, such as the teas themselves! I learned quite a bit from you and will use your advice. I did not know about all of the health benefits that could be in my afternoon iced tea, especially if I choose the correct herbal teas. I thank you for the important information on all of the great benefits of the many varieties of herbal teas. I am going to share this page with my mother for her health. Keep up the good work! Thanks for your positive vibes! I’m glad to hear you drink your teas and happy you found the post useful. Happy herbal-tea drinking and have a pleasant week ahead.